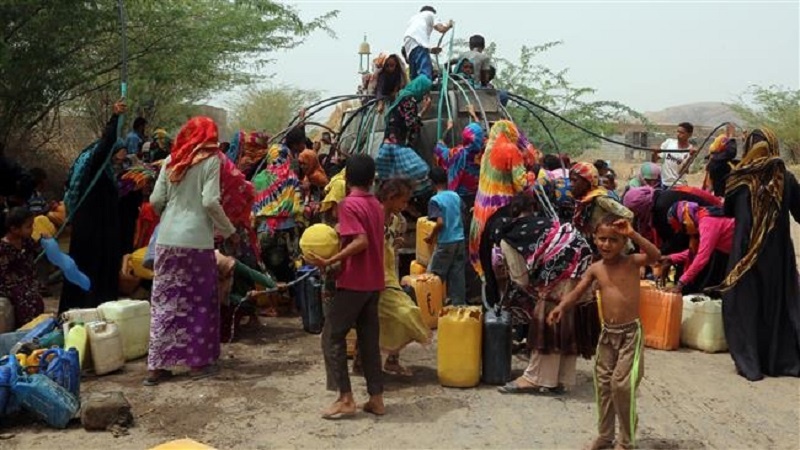 The United Nations has warned about the rapidly worsening humanitarian situation in Yemen’s blockaded Hudaydah as fighting between the country’s army troops, backed by fighters from the Ansarullah movement, and Saudi backed militants resumed in the port city following the collapse of the latest round of UN-brokered peace talks. “The situation has deteriorated dramatically in the past few days. Families are absolutely terrified by the bombardment, shelling and airstrikes,” said the UN humanitarian coordinator, Lise Grande, in a statement on Thursday, as the lives of 300,000 inhabitants hang in the balance in the port city. The fresh UN-backed peace talks were scheduled to be held in the Swiss city of Geneva late last month, but they were aborted after the world body failed to meet conditions set by Yemen’s Ansarullah, including transfer of wounded people to hospital for proper treatment and guarantees on the safety of Ansarullah delegation. Ansarullah later accused the Saudis of planning to strand the delegation in Djibouti, where their plane was to make a stop en route to Geneva. The two sides held their last UN-sponsored negotiations in Kuwait in 2016 in a bid to hammer out a “power-sharing” deal but they fell apart after the Saudi-backed side left the venue. Backed by Saudi-led airstrikes, Emirati forces and militants loyal to Hadi launched the Hudaydah offensive on June 13 despite international warnings that it would compound the impoverished nation’s humanitarian crisis as the country traditionally imported 90 percent of its food, mainly through the port. The coalition of aggressors has, however, failed to make any major gains in the face of stiff resistance from Ansarullah fighters and their allied forces. “The mills in Hudaydah feed millions of people. We’re particularly worried about the Red Sea mill, which currently has 45,000 metric tons of food inside, enough to feed 3.5 million people for a month. If the mills are damaged or disrupted, the human cost will be incalculable,” Grande added.